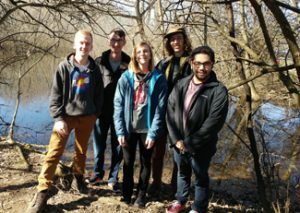 Six senior students in CFAES’s Department of Food, Agricultural, and Biological Engineering, sponsored by the Friends of the Lower Olentangy Watershed (FLOW), and with further support from a Coca-Cola Sustainability Grant — are helping restore a wetland in Ohio State’s Carmack Woods. It’s another good read on our new CFAES Stories website. You can help plant trees there on Sunday, April 22 — Earth Day. Find out more. “Return of the River,” the story of a “remarkable campaign to set a river free, culminating in the largest dam removal in history,” screens at 7 p.m. Tuesday, Feb. 21, in Ohio State’s 2017 Environmental Film Series. Set on Washington state’s Elwha River, the film offers a story of “hope and possibility amid grim environmental news,” its website says. “It is a film for our time: an invitation to consider crazy ideas that could transform the world for the better.” Watch the trailer above. Free and open to the public. Free pizza and beverages at 6:45 p.m. Postscreening discussion led by CFAES’s Chris Tonra and Bryon Ringley of Stantec in Columbus. Details. A panel discussion at the next Environmental Professionals Network breakfast, which will focus on restoring the Olentangy River, will feature Laura Shinn, planning director, Ohio State; Byron Ringley, senior principal, Stantec; Anthony Sasson, freshwater conservation manager, The Nature Conservancy; and Alice Waldhauer, watershed coordinator, Friends of the Lower Olentangy Watershed. 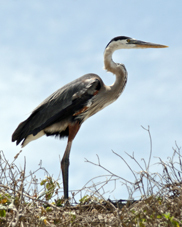 Also, come early and go birding at the Wilma H. Shiermeier Olentangy River Wetland Research Park (the breakfast program’s location) with Jim McCormac, avian education specialist with the Ohio Division of Wildlife and Columbus Dispatch nature columnist. Details. The Environmental Professionals Network, a service of CFAES’s School of Environment and Natural Resources (SENR), has announced its “breakfast club” program for August. 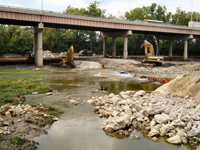 The topic is the 5th Avenue dam removal project on the Olentangy River, and the location, which is a change from the usual, is SENR’s Wilma H. Schiermeier Olentangy River Wetland Research Park. If you’re interested, register soon, because attendance, due to the smaller venue this month, is limited to 60. The Midwest-Great Lakes chapter of the Society for Ecological Restoration holds its annual meeting today through Sunday (4/12-14) on the Wooster campus of CFAES’s research arm, OARDC. Theme: “Ecological Restoration and Sustainability: Partners for the Future.” Read more about the meeting here and about the chapter here. (The chapter’s mission: “To promote the science and practice of ecological restoration to assist with the recovery and management of degraded ecosystems throughout the Midwestern and Great Lakes region of the United States.”) Among those attending and presenting are a number of scientists and graduate students from CFAES. 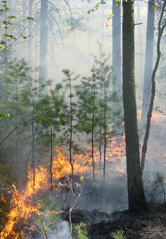 Tomorrow: How to restore fire-dependent forests? 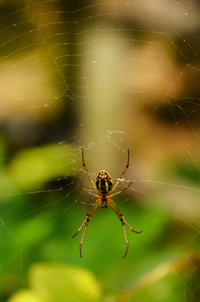 Priscilla Nyamai, a doctoral candidate in CFAES’s School of Environment and Natural Resources (SENR), presents “Is There a Role for Restoration When Fuel Reduction Is a Management Objective in Fire-dependent Forest Ecosystems? Lessons from the Northern Lake States” tomorrow (4/11) in SENR’s spring seminar series. Details. Her advisor is SENR scientist Charles Goebel, who leads the Lake States Fire Science Consortium.